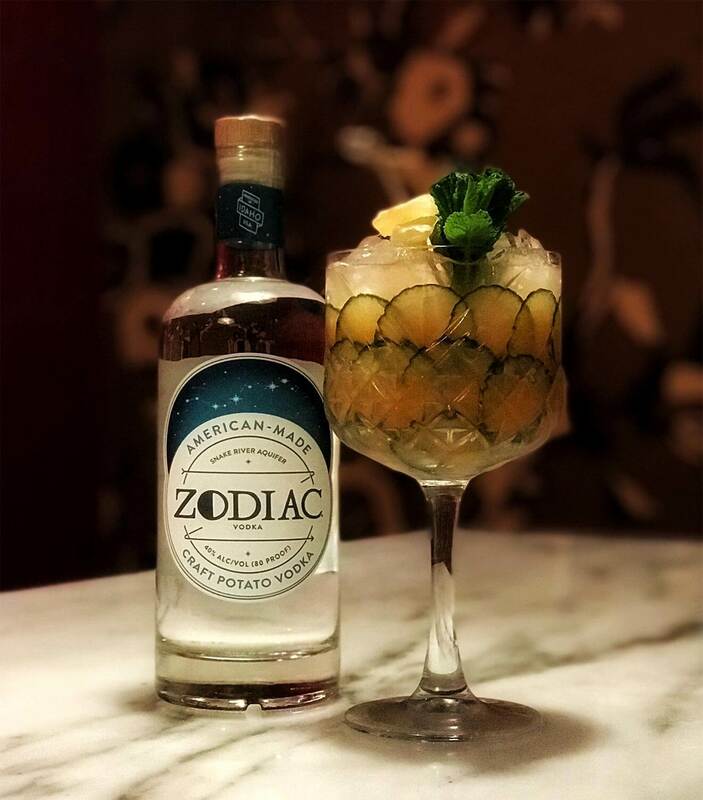 Zodiac Vodka recently selected three bartenders to receive a mixology kit to fuel their passion and inspire a cocktail-creating adventure. The American-made, craft potato vodka is produced entirely in the company’s distillery in Rigby, Idaho-based distillery from farm to bottle. 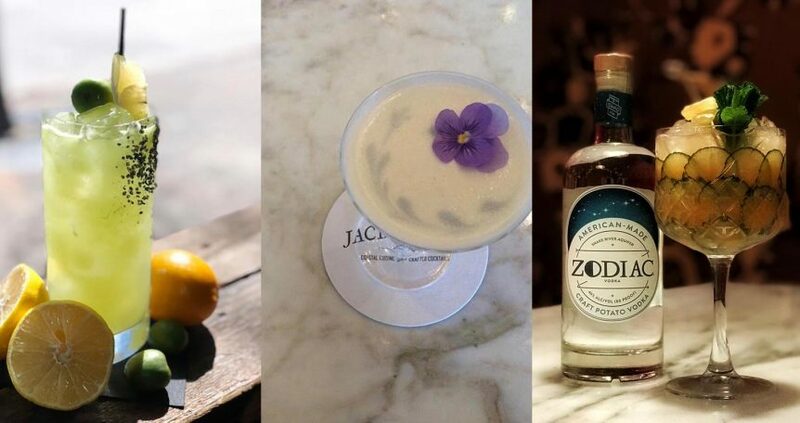 The chosen bartenders have taken us off the beaten path with their amazingly inventive cocktails. 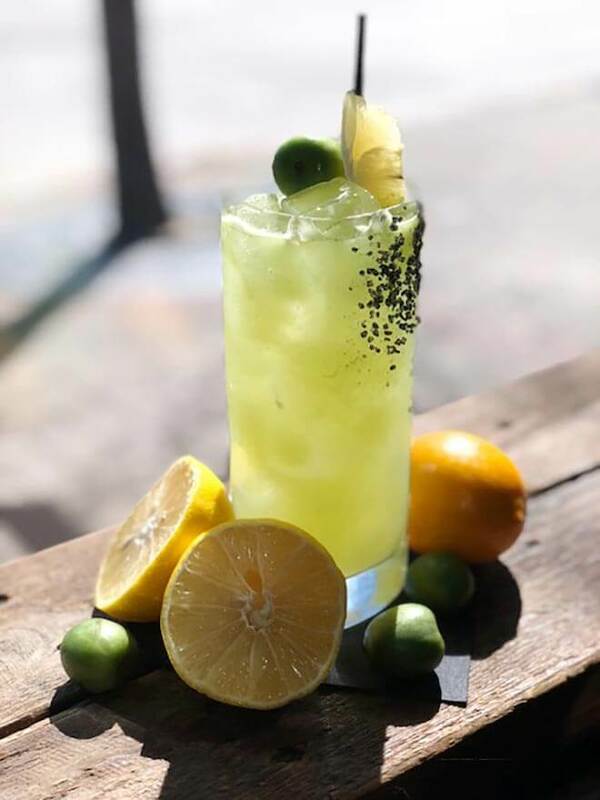 Check out these exploratory bartenders, their perfect-for-spring drinks and what influenced these creations. Preparation: In a shaker tin, lightly muddle kiwi berries, white pepper, and vanilla syrup. Add the fresh citrus juices and Zodiac Vodka. Add ice and give it a nice, hard shake. Fine-strain over fresh ice into a black lava salt-rimmed Collins glass. Garnish with a kiwi berry and a trimmed slice of Mosambi lime. 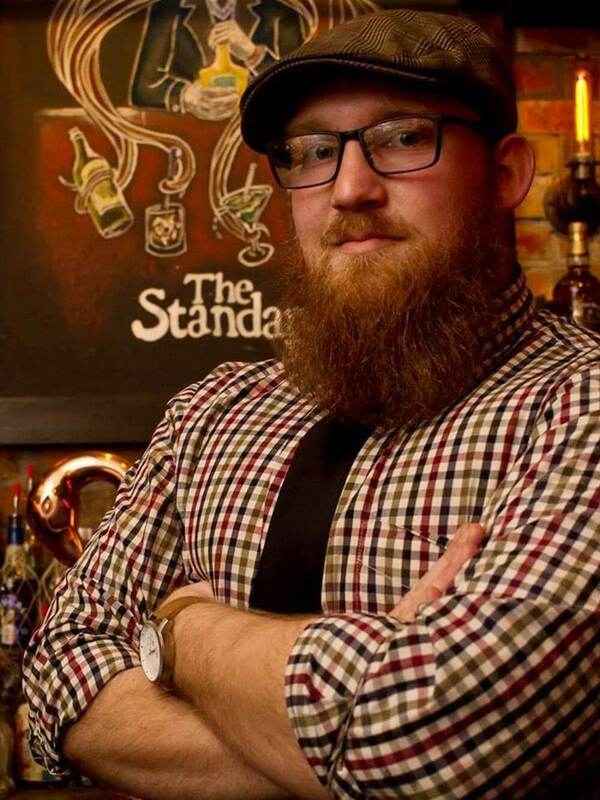 Austin is a craft bartender and beverage director who is dedicated to what he refers to as “aggressive hospitality,” while running a bar program with the upmost integrity. He prides himself on representing the Dallas bar industry with as much professionalism as possible. Austin is currently the beverage director at High & Tight Barbershop in Dallas, TX. Preparation: Dry shake ingredients; add ice, wet shake and double strain into a coupe. 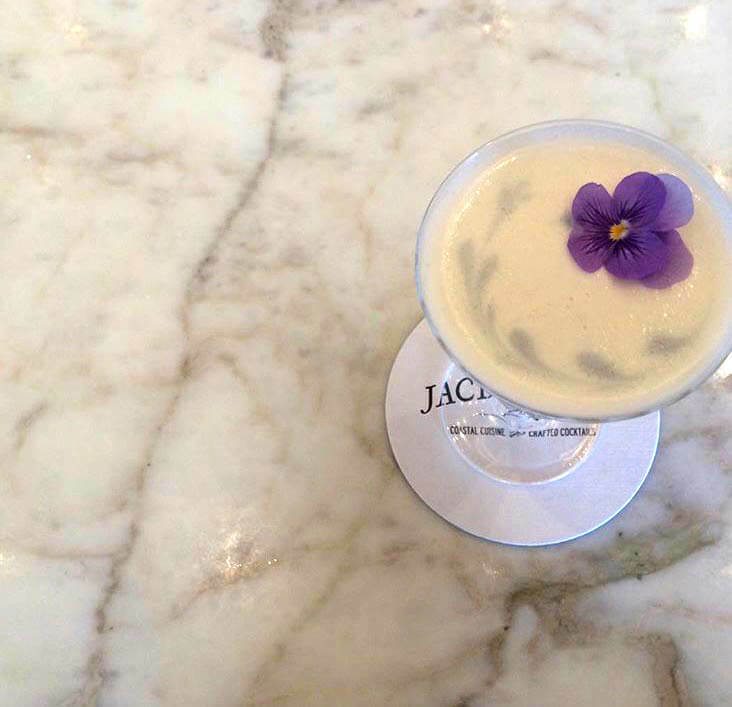 Add 3 drops of Creme’ de Violette along left rim and blueberry ice sorbet viola placed on top with lavender spritz over the top. Candice is currently the beverage manager and wine director for ADRG (American Dreams Restaurant Group) for Element. She previously ran the beverage program for the Ritz Carlton in Sarasota after relocating from Dallas, where she learned the craft in 2009. 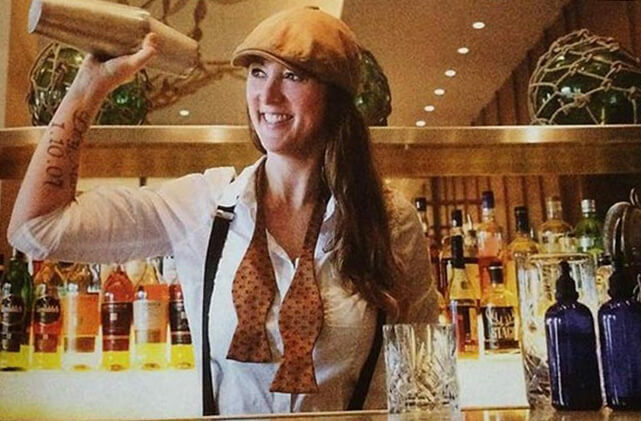 While her bartending career started in 2009, her hospitality career began in 1998. Her long-term goals are to open a few bar concepts that she is working on and to keep the bartending spirit alive and void of ego. Preparation: Muddle two large pieces of cucumber in a shaker tin. Add vodka, apple and carrot syrups, and lemon juice. Add ice. Hard shake for 10 seconds; fine-strain into a goblet. Garnish with mint and candied ginger. *Use a stick blender to combine equal parts fresh apple juice and sugar (by weight). **Use a stick blender to combine equal parts fresh carrot juice and sugar (by weight). Thinly slice cucumber and arrange around the base of the glass. 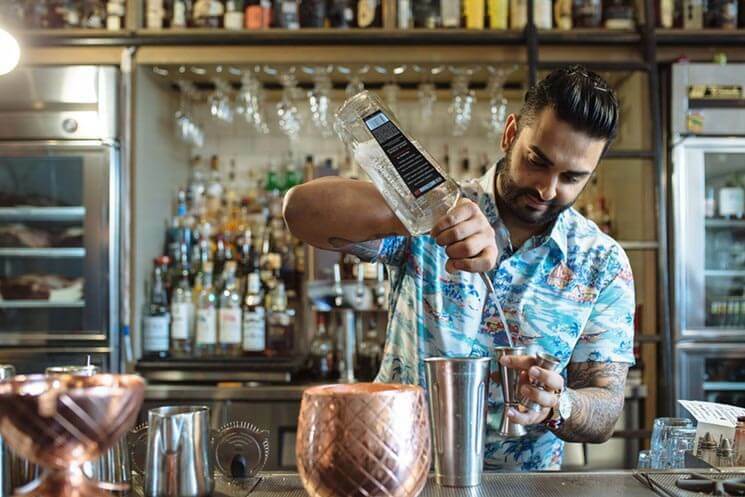 As a bartender at Uchibā, Ravinder Singh puts his passion for the craft into every cocktail. Ravinder was voted last year’s Best Bartender by the Dallas Observer and also won the Ultimate Cocktail Experience, that same year.